“Joining Team Dimension Data is much greater than purely ‘racing’, we will bring our credibility, building the fastest bikes in the world and combine our visions, being stronger together.” – David Zurcher, CEO BMC Switzerland. Team Dimension Data for Qhubeka are ambitious in their aim to forge a new age and truly global-acting cycling team. 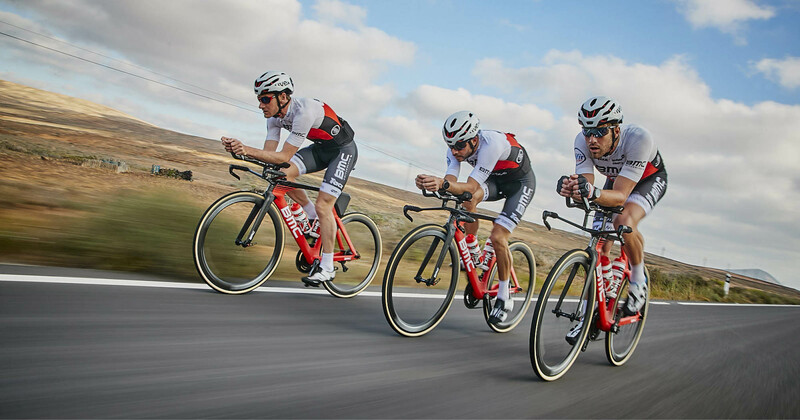 Now their aspirations unite with innovative BMC bike technologies and our long-running WorldTour racing pedigree. But the full story doesn’t end with racing; we are confident in our joint efforts to shape cycling for the better–both technologically and philanthropically. So while the team targets the world’s most prestigious one-day Classics and Grand Tours, the scope of Team Dimension Data’s impact will be spread much further afield. Cadel Evans spoke up at the team launch in Cape Town, November 2018: “Even on your toughest day in the peloton just remember that you’re already contributing more than any other rider around you.” His words ring true; the team truly believes #BicyclesChangeLives and race to raise funds for the Qhubeka charity which provides bicycles to people in Africa.